Engagement and deeper connection in social networks, a dialogue with Jaume Fortuny | Agile KM for me… and you? This entry was posted in Dialogue, Social media and tagged engagement, following, social networks by Ewen Le Borgne. Bookmark the permalink. Pingback: The little secrets of collaboration: Assume good intent | Agile KM for me… and you? Thank you for the reply and sorry for the late response from my end. I’m almost on holiday and had a crazy week of workshops. a) I should pay attention to mobile users and display a warning message of sorts when I’m embedding heavy content in my posts. All things being equal, length is critical. The brief contents can be consumed at any time (either read, watched and/or listened). If the contents have to be consumed in a time greater than 5 minutes, are conditioned to have an exclusive space of time for them. And in these cases contents should worth it really. Thank you, sounds like ‘blog good and be good’, with a higher margin of error / forgiveness if a personal rapport exists. I wonder if you have any observation on the content type. Do you like to follow blogs that have a variety of content e.g. podcasts, pictures, videos, presentations, drawings… What makes the use of multimedia content interesting to you? This question asks whether the fund is more important than the manners (or otherwise). I have given part of this answer to the first question (you arrive by the fund but remain/leave by the manners). I think that, when you do not know the person, the content is the bait to get the engagement. And this is even more true when we are talking about the blogs where we arrive via a search engine, for example. Somehow the contents are more important. But when you know the person, (both in real life and through social networks), the things change. By affinity or by sympathy, you can follow someone despite “the contents”. Strictly speaking, this is not an absolute truth. If you know the person, you have an idea of her/his personality. And probably draws you some aspect of which s/he speaks and gives opinion in the network. You could say that, knowing the blogger, content haven’t so much importance. Note that, as in one case as in the other, which ends up being important is the personality and the relationship with the blogger. Taking an idea set out in the answer to the first question: However good the content is, the engagement will be won / lost because of the way of being and the way of doing of the blogger. Yes, I’ve stopped to follow people whom I dislike on personal or emotional level. But the funny thing is that in most of the cases, this dislike came from the answers to others. I developed a kind of empathy with other followers of supposed “gurus” and the replies to the comments of the followers, impacted on me, too. The social conversation has a multidimensionality we can not ignore. One might think that, as now, we are having a conversation 1-to-1. But in fact, our written words are read by other people, who take a different view of us by what we say and by how we express ourselves. And through that, we are being classified (and we are appreciated or maybe ignored). Thank you for your reply! Fascinating that the tone of exchanges between you and people you follow is one of the central elements influencing your engagement. Have you been in the situation of following people whom you enjoyed intellectually but disliked on a personal, emotional level? You are making another interesting observation that bloggers have to prune the ecosystem of comments to keep interesting stuff at the top. I suppose most bloggers do that but perhaps not systematically and consciously. I also agree that the frequency of posting can be a hurdle or even a turn-off. For me that’s why I check a lot of blogs via RSS Feeds on my mobile phone, whenever I get some down time. I look forward to the next iteration. There are different ways to do this. For the time being we could keep this exchange via comments. Perhaps as you elaborate on all remaining questions I could answer it all in one blog post again indeed. And at any rate it might be good, after this exchange is concluded, to write one blog post summarising all aspects of our discussion to shed some light from our exchange for bloggers and blog followers. First of all, my apologies to enter so late in the discussion. Those who are dedicated to technological issues, sometimes we have to turn off fires and the time fades in our hands. But, by golly, the engagement made me priorize the answer to your questions before anything else, when, as now, I have a little time. I will answer to the questions you pose one by one, for leaving space for the participation of other followers of the blog. I started to explain that I do not follow people neither blogs written with disdain against people, facts or events. I’m more interested in thoughtful opinions and in the accurate information. Therefore, there is a initial choice. I get to the blog by the thematic interest, but I could leave it by the shape and tone of the writing. I also look at how the blogger responds to comments. I am more critical on the treatment to the person making the comments rather than the time the blogger takes to answer. Perhaps the engagement itself, make me forgive the delay of the blogger. But due to the “dominance position” of the blogger, I don’t tolerate disrespect towards the person that writes or towards of what he writes. Another thing is the disgusting behavior that can have a blog visitor. Some people, from the anonymity, try to discredit and destroy. In these cases, I appreciate cleaning the comments. Otherwise, the noise prevents others to follow threads. And if the visitor enters in the realm of insults and discrediting or just spam, is a requirement to remove the comments of the blog visitor. If blogger permits “noise”, is a reason for “disengagement”. Finally, we can talk about the cadence (yes it can be a “turn-off”, too). Neither too much nor too little. As for blogs that I follow, weekly is reasonable. Allows better interaction. But daily, (or even more than once a day) may overwhelm. P.S. : Since this is the (long) answer to the first question, what if we convert the set of questions/answers to several individual posts? Thank you for sharing your perspective. In the vast majority of cases I have a similar experience as you do, but there are a couple of people I have a (bilateral or unilateral) relationship that is deeper, as I comment or share their content even more and occasionally chat with them. The exploration with Jaume is not so much a trip down ego-logy lane but rather an interesting detour around what motivates people to explore a connection beyond the content. 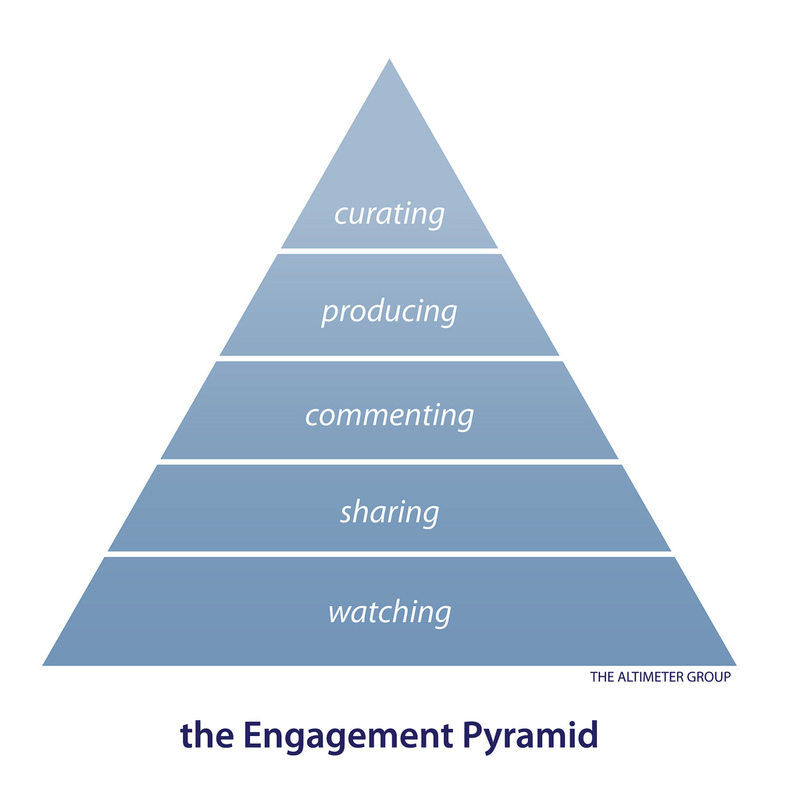 In the networked world where engagement is the currency it seems an interesting detour to take. I typically find that I have different kind of blogs in my RSS reader – some are from people I know and I try to read those to keep up to date and feel sorry when I unfollow them (and I do not to get too many blogs). But the majority are blogs I read because of the content and I scan them. It is not so much a relationship with the blogger, but scanning the blogs for interesting information/ point of view.